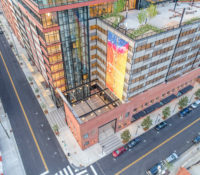 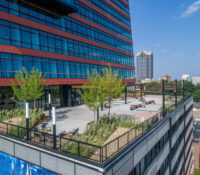 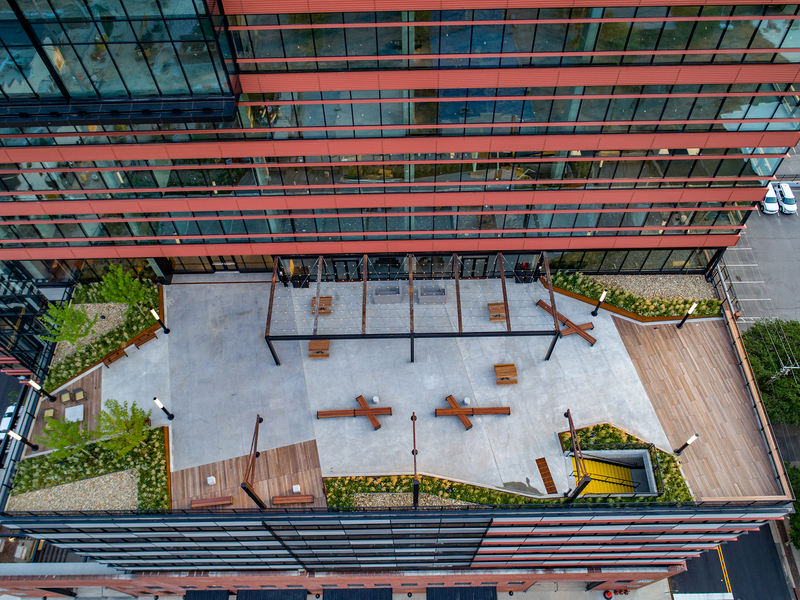 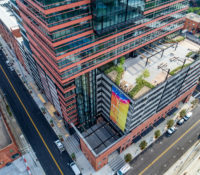 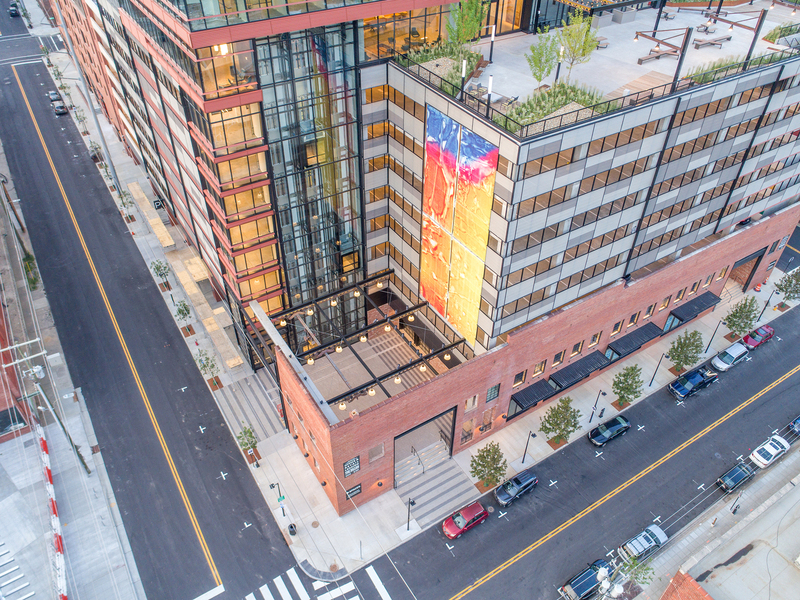 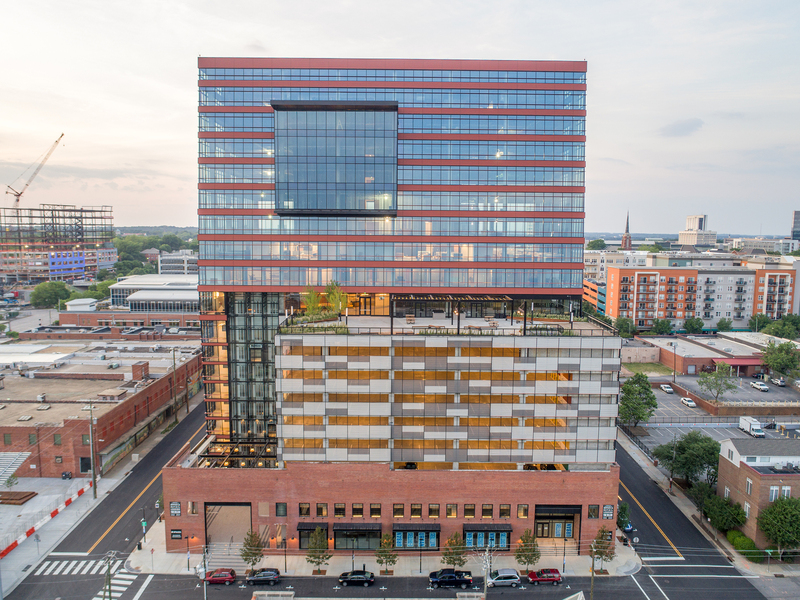 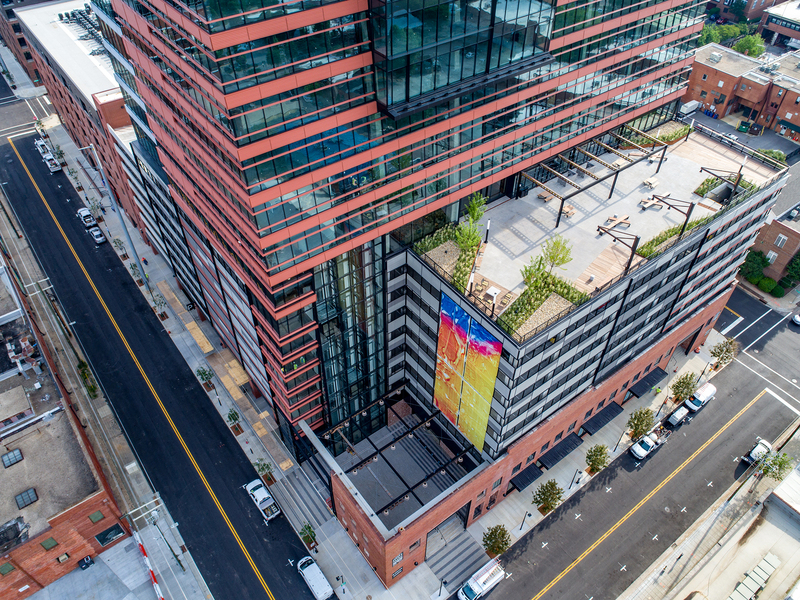 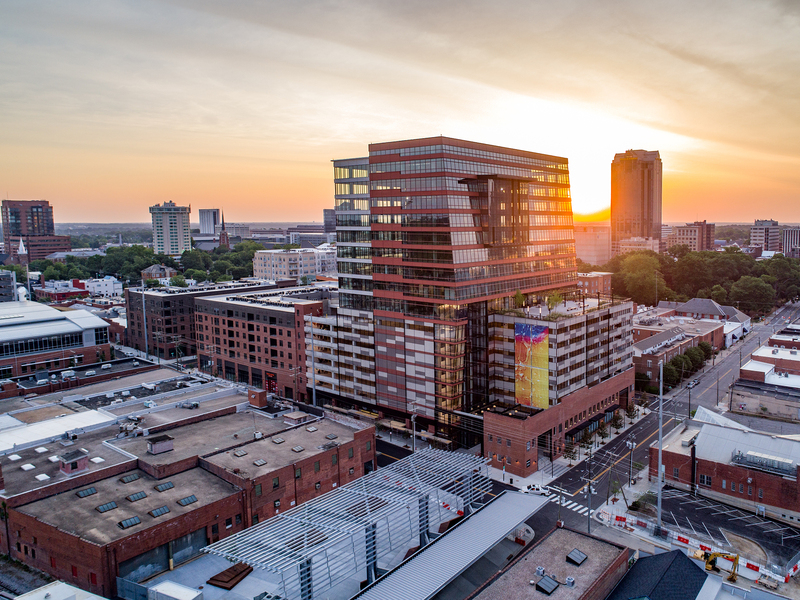 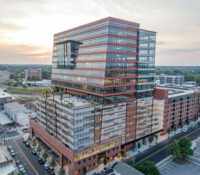 The Dillon is a mixed-use, core and shell project that spans nine stories and includes two six-story apartment buildings with an adjoining 8-level cast-in-place parking deck for 994 cars. 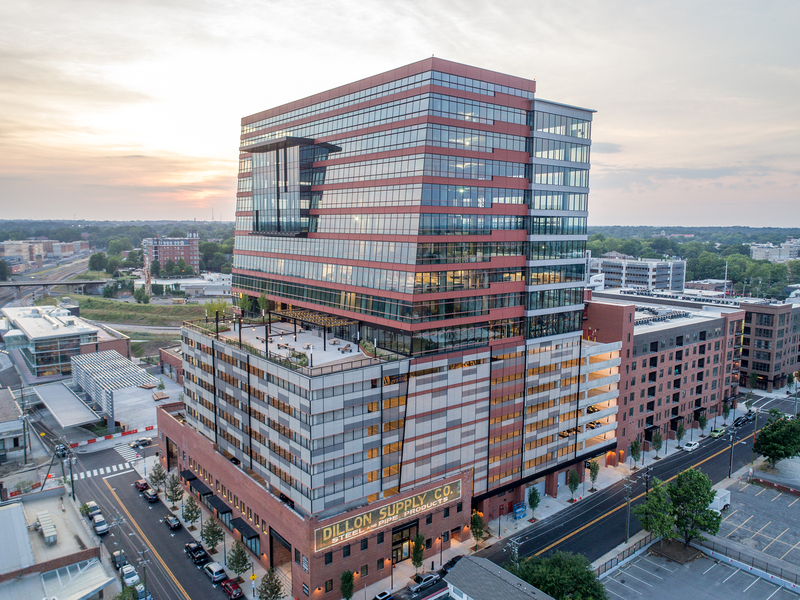 The Dillon makes up an entire, 2.5-acre city block. 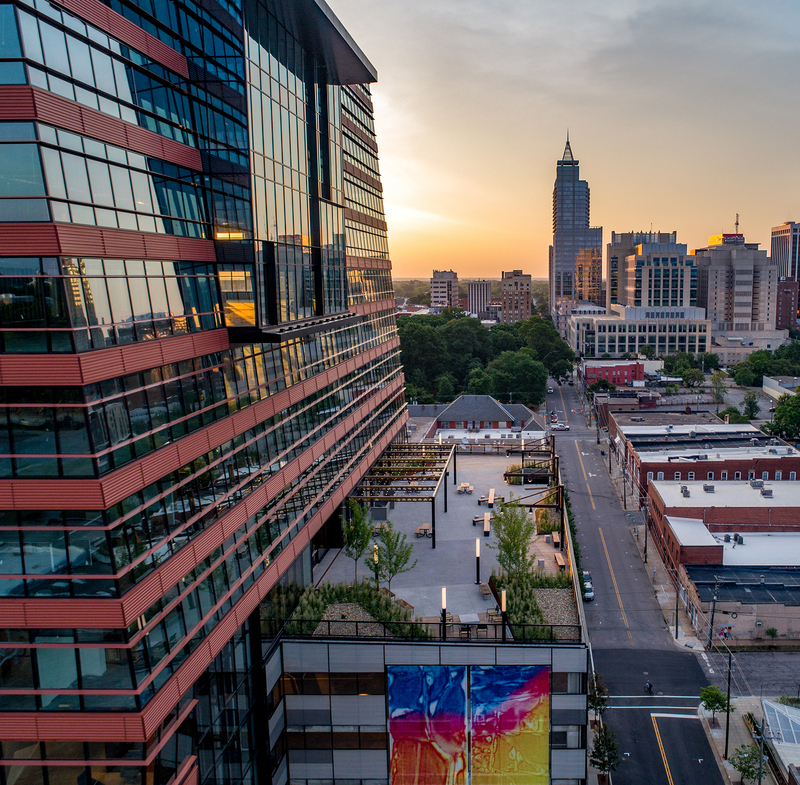 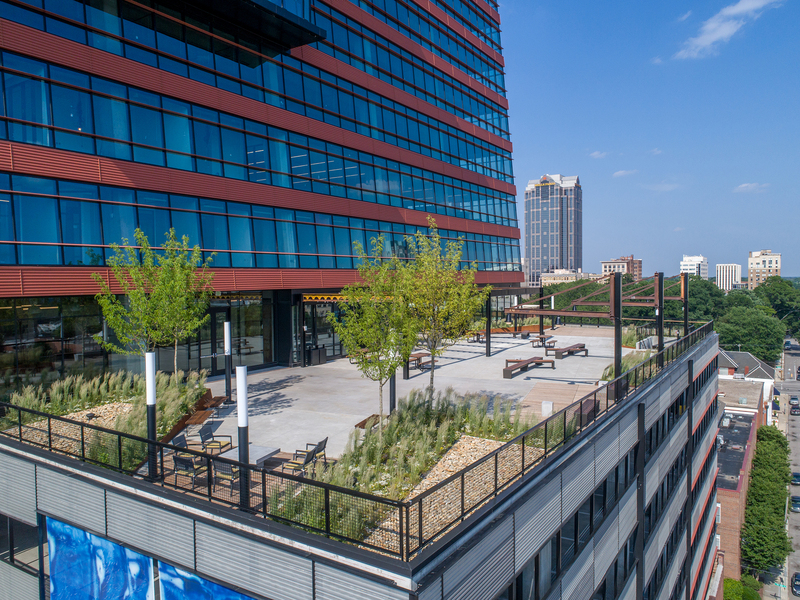 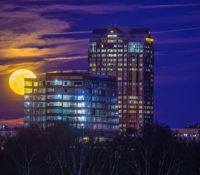 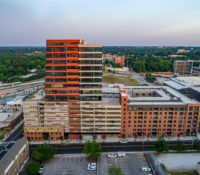 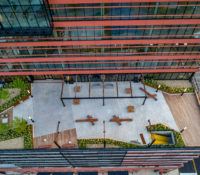 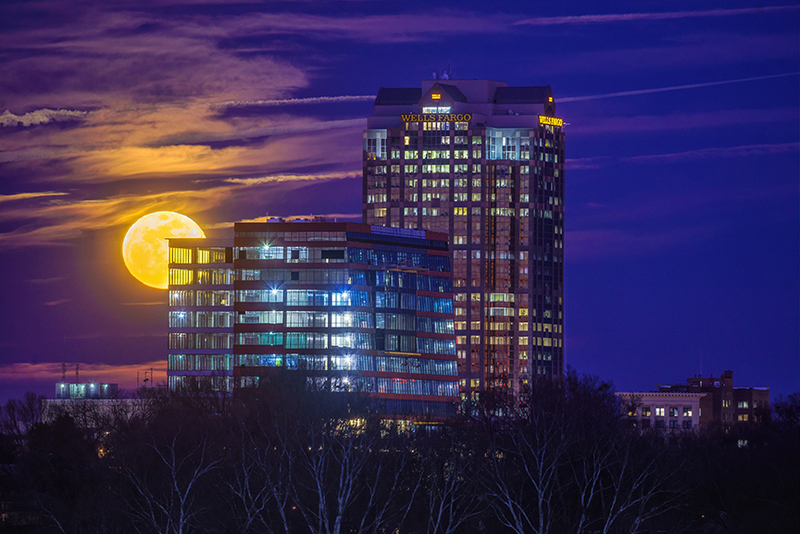 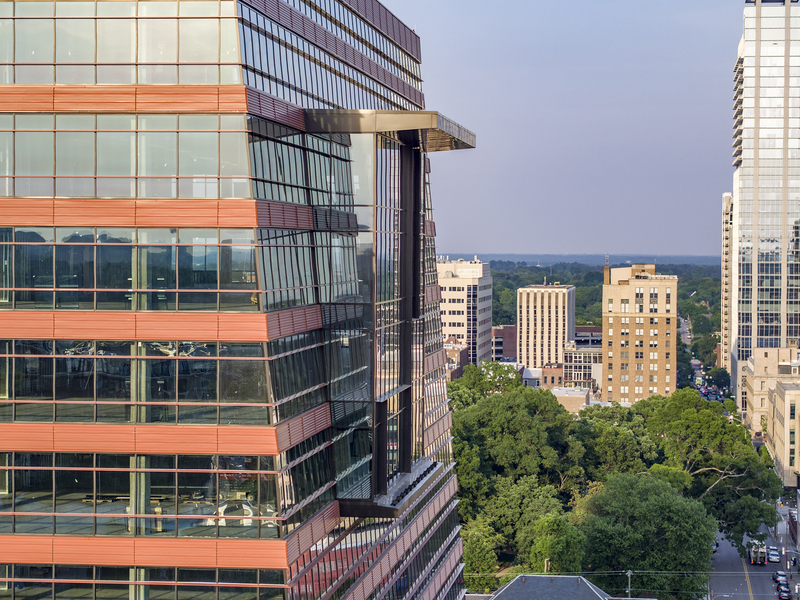 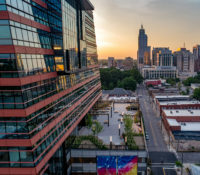 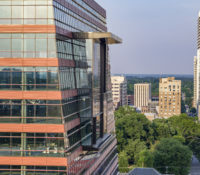 At street level, the building complements the surrounding historic neighborhood, and from a distance assumes a monumental presence in Raleigh’s downtown skyline. 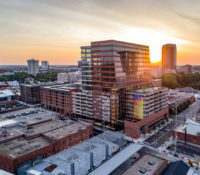 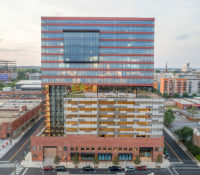 The project is located in the Warehouse District of Downtown Raleigh on the former site of the Dillon Supply Warehouse. 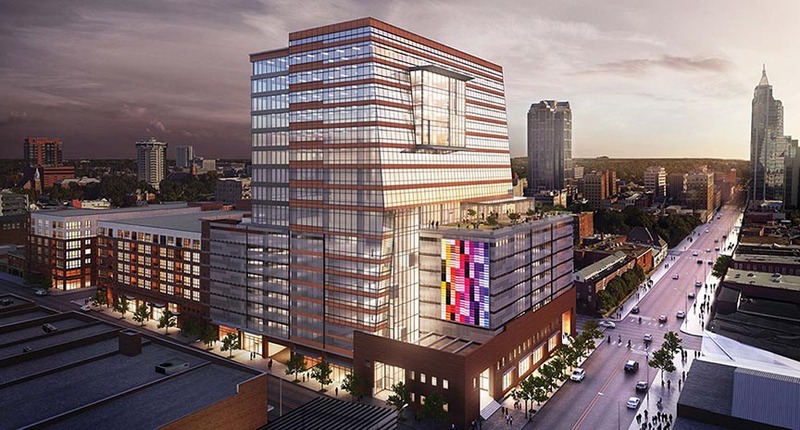 Also included in the project is a 9th floor community space, terrace, and 40,000 SF of retail space. 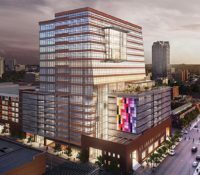 The project totals nearly 615,000 SF. 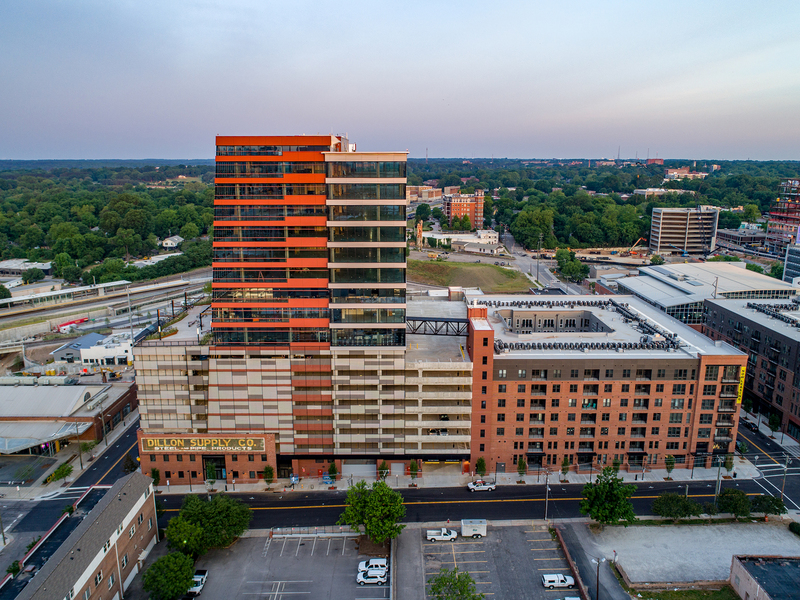 Photos are courtesy of FlyBoy Photo & Media and Robert Benson Photography.